What does the Bible say about Judgment Day, or the day of judgment? Judgment Day. Also known as the Final Judgment. It is the very last thing that happens before God destroys the old heaven and the old earth, which are corrupt on account of sinSin is anything that goes against God’s will and His laws. To commit sin is to transgress or disobey these laws. The lust to sin dwells in human nature. In other words, it is contaminated and motivated by the sinful tendencies that dwell in all people as a result of the fall into sin and disobedience in the garden of Eden. This... More. Before He creates His new heaven and new earth, He has to do away with anything that could bring sin into the new creation. Excluded from this judgment on Judgment Day will be those who are in the bride of Christ. They have already stood before the judgment seat of Christ while they were in the situations of their daily lives. They have let God’s light shine in their hearts, pointing out the sin and unrighteousness that needed to be dealt with. They have, of their own free will, acknowledged their sin, taken up a battleAlmost all talk of battles and wars when concerning a Christian life refers to the inner battle that arises when a sinful thought tempts you. God’s Spirit and the flesh are at odds. When you have decided to only do God’s will and are being led by the Spirit, a conflict between the flesh and the Spirit arises: there is... More against it and have been cleansed by the blood of JesusThis mostly , or self-will. By putting to death sin in His flesh, “blood” flowed, and since He was blameless, this sacrifice could be used to atone for our sins and give us forgiveness. In a deeper sense, we as members of His body, are cleansed from indwelling sin when we follow Him, and the same “blood” flows from us... More. More than just receiving forgiveness for sin, they have used the power available in the Spirit to overcome it. “For if we would judge ourselves, we would not be judged. But when we are judged, we are chastened by the Lord, that we may not be condemned with the world.” 1 Corinthians 11:31-32. “Then I saw a great white throne and Him who sat on it, from whose face the earth and the heaven fled away. And there was found no place for them. And I saw the dead, small and great, standing before God and books were opened. And another book was opened, which is the Book of Life. And the dead were judged according to their works, by the things which were written in the books.” Revelation 20:11-15. God’s accounts are so carefully kept that, as Jesus said, we must even give account for every idle word. Each of us writes a book with our life. Everything we do is recorded. 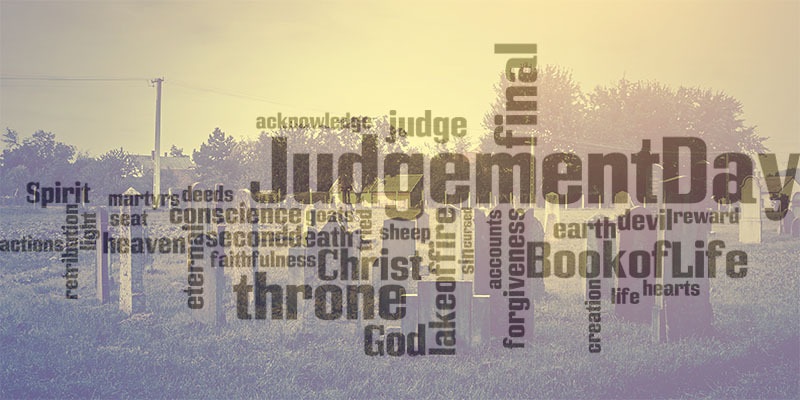 Imagine what it will be like when God begins to page through our memories on Judgment Day. If we have sinned, we have opportunity while in this life to repentRepentance is the act of regretting sincerely the sin in your past with the goal to never do it again. It is making a decision to turn away from evil and to serve God. Repentance is one of the requirements for the forgiveness of sins. (Mark 2:17; Luke 15:10; Luke 24:46-47; Acts 3:19; Romans 2:4; 2 Corinthians 7:10; 2 Peter... More and get forgiveness. Then God wipes it away, never to be remembered again. Then when the books are opened we will only have to give account for good works. “Their sins and their lawless deeds I will remember no more.” Hebrews 10:17. “All the nations will be gathered before Him, and He will separate them one from another, as a shepherd divides his sheep from the goats. And He will set the sheep on His right hand, but the goats on the left.” Matthew 25:31-46. Then Jesus will say, “For I was hungry, and you gave Me food; I was thirsty and you gave me drink; I was a stranger and you took me in; I was naked and you clothed Me; I was sick and you visited Me; I was in prison and you came to Me.” They will answer, “Lord, when did we see you hungry and feed you, or thirsty and give you a drink?” Matthew 25:35-37. Even if they were completely ignorant of the fact that they were serving Jesus by their works He will say to them, “Come, you blessed of My Father, inherit the kingdom prepared for you from the foundation of the world.’” Matthew 25:34. This was their reward for following the dictates of their conscience and being obedient to the laws that are written in the hearts of men. “But glory, honor, and peace to everyone who works what is good, to the Jew first and also to the Greek [Gentiles]. For there is no partiality with God.” Romans 2:10-11. To all those who hardened their hearts to the good against the dictates of their conscience and did what was evil in spite of what they knew, Jesus will say, “Depart from Me, you cursed, into the everlasting fire prepared for the devil and his angels.” Matthew 25:41. “Then Death and Hades were cast into the lake of fire. This is the second death, and anyone not written in the Book of Life was cast into the lake of fire.” Revelation 20:14-15. No wonder Jesus said that we should rejoice because our names are written in the Book of Life! Then the accounts will have been settled, and everything put in its rightful place. Sin and death are finally gone forever. Out of all the affliction and misery, and in spite of Satan’s deceptive power, God, by His wisdom and might, has finished His work in the bride, the martyrs, and the sheep who have been gathered to Jesus’ right hand. These are the ones who are written in the Book of Life and will live eternally with the Father and the Son in the new heaven and the new earth. Interested in reading more? 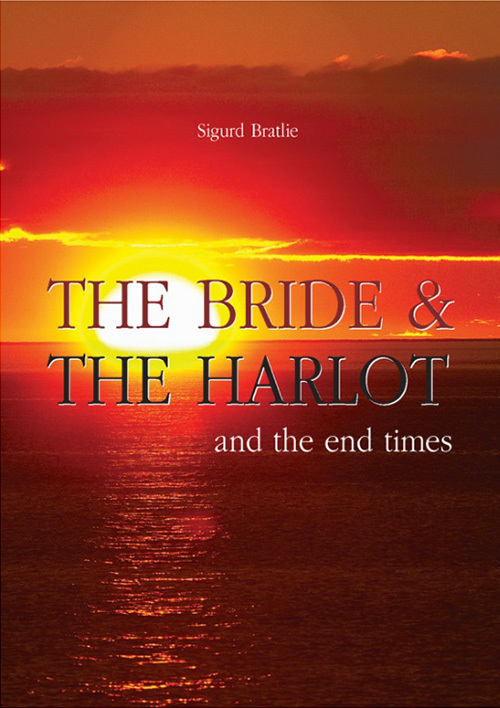 Have a look at the free e-book “The Bride and the Harlot and the End Times”, or read the selected articles below.